With one of the lowest rates of crime in the world, is a safe (and fun!) place to study abroad in Denmark. Enjoy listening to the world famous Royal Danish Orchestra, watching the Danish national football team or taking pictures of Jeppe Hein’s interactive works of art as you study abroad in Denmark. Studying abroad in Denmark will be a culturally enriching and vibrant experience as art, design, music and cinema are all beloved treasures in Denmark. Denmark is one of the most socially progressive countries in the world. If you’re curious about alternative ways to create a successful society, Denmark will be a fascinating country for you to study abroad. Study abroad in Denmark will place you among good company. There are approximately 230,000 students in Denmark and more than 18,000 of them hail from foreign countries. These students are offered a multitude of study abroad options and enjoy classes and programs in subjects like technology, business, healthcare, education, design, architecture and numerous others. Universities in Denmark offer students unique opportunities to combine theoretical study with hand’s-on practicum and many of the programs in Denmark focus intently on theoretical studies, academic research and skills acquisition. Study abroad programs in Denmark will allow you to familiarize yourself with Danish, a Germanic language spoken throughout the country. You may also pick up on some Faroese and Greenlandic if you decide to visit Greenland and the Faroe Islands. Studying and practicing Danish will allow you to connect with your new community and also add a desirable skill to your resume. If Danish doesn’t come easily to you, don’t worry—there are numerous organizations in Denmark that offer free language class to students and the majority of the Danish population also speaks English. Denmark will allow you to press your linguistic limits and enjoy the comfort of hearing a familiar language. If you decide to study in Denmark you’ll be living in the European Union but forgoing the Euro currency. The Krone is the official currency of Denmark and Kroner can be used to pay for anything from transportation to food to nights on the town. If you attend a Denmark study abroad program it’s a good idea to keep both Kroner and Euros on hand—Denmark’s quality ferry services can ship you to the land of the Euro in no time. If you want to collect Kroner while you’re studying in Denmark, finding a part-time job or internship is a brilliant idea. Denmark has a strong and steady economy with an emphasis on free markets, globalization and labor security. 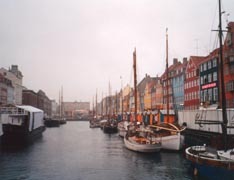 The Danish enjoy a high quality of life and see their hard work paid off with security in career, income and benefits. Denmark is especially devoted to green energy and quality production of foods and goods. Bio and medical technology are others strong fields. Denmark, in fact, has the third-largest commercial drug-development pipeline in Europe and is one of the region’s largest exporters of medical technology. Finding a job or internship in these industries or others can be a great way to gain experience and enhance your adventure. Denmark is a country steadfastly devoted to sustainability and security. The people of Denmark enjoy high social and financial security and the country is often times ranked as the world’s happiest. Its low levels of poverty, inequality and corruption lend a hand to the health, vibrancy and productivity of its people and its commitment to clean technology, life sciences and fiscal responsibility lend a hand to the strength of the nation. If you commit to studying abroad in Denmark you’ll find yourself in an environment rich with forward-thinking people, thought-provoking policies and life-enhancing opportunities. Denmark is also leading the world in green technology. In fact, approximately 20 percent of Denmark’s electricity needs are covered by wind power and one of the largest wind power companies in the world is located in Denmark. The government has also committed to ending its dependence on fossil fuels by 2050 and has partnered with a company in the United States to transform the energy source of cars. If green energy and technology are on your list of interests, Denmark is the perfect location for you. Study abroad in Denmark also allows you to experience the day-to-day life of the Danish. Extensive transportation options, communities and organizations devoted to sharing the very best of the country, and a kind and considerate population all contribute to a safe, secure, and fun time as you explore the country, attend your classes, and take care of everyday responsibilities. Overall, Denmark is a blissful combination of stunning intelligence, whimsical fun and thoughtful composition; making it a wonderful destination to study abroad. Spend a sensational summer in Denmark, Sweden and Norway! Study and travel abroad —with AIFS. Experience Copenhagen at its best – during the summer when the days are long, the festivals are full-throttle, and the harbor pools are beckoning. DIS knows how important it is for you to build your own unique experience abroad. That’s why we offer a dynamic study abroad program so that you can get the most out of your semester or year here at DIS Copenhagen! Trek across Sweden and Denmark, experiencing how sustainable urban design can be implemented on a community and country-wide scale. Apply your experience to solve problems back home. A unique semester that provides participants with the latest knowledge in international transmedia fashion marketing, with a focus on fashion film.